This release is a magical journey that cannot go wrong with a total of nearly two hours of playing time. Aleph Zero is proud to present its second release, a special double CD edition from a new uprising force in the chillout section, Bluetech. This release is a magical journey that cannot go wrong with a total of nearly two hours of playing time. Evan Bluetech was classically trained on the piano but found the gateway for releasing his musical creation and talent in the electronic music scene. Evan developed his own special blend of musical style. A style which is purely improvisational and lyrical, inspired by the possibilities of telling musical stories through tone and rhythmic transaction, while constantly drawing inspiration from the different evolving electronic musical genres. He has released tracks on a number of labels all around the world. Elementary Particles & Prima Materia offer the latest chilling and spine shuddering tunes coming from the mystical green forest atmosphere of Oregon in the Northwest of the US where Evan resides. It is a package of sounds filled with emotion, moods, psychedelia and mystery. While encompassing musical touches from different parts of the globe, it presents a total blend, crossing genres and borders. The outcome is a musical journey reaching far away realms that is soothing to your brain and to your heart. All tracks written and produced by Evan Bluetech, except for Prayers for Rain* (J. VIEWZ Remix) additional production, vocals, and guitar by Jonathan Dagan (www.jviewz.com). Mastering on Elementary Particles EP by Jake Perrine. Mastering on Prima Materia by Forest at Waveform. Publishing by Tribal Alchemy Media, ASCAP. 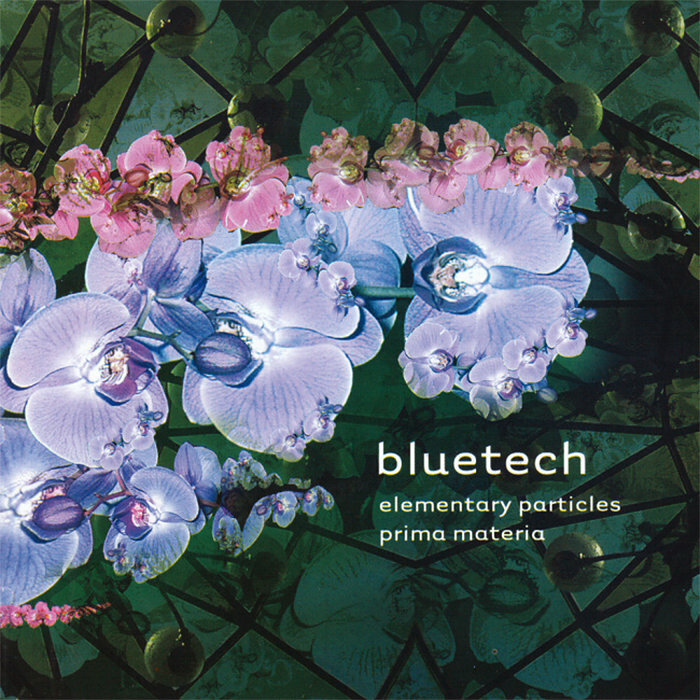 *Original version appears on Waveform Records release “Prima Materia” by Bluetech.